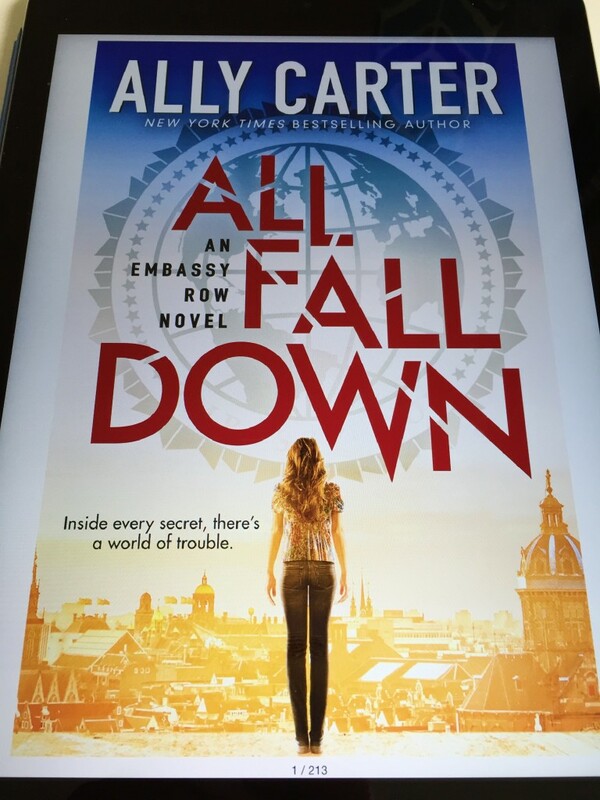 All Fall Down is a story about an ambassador’s granddaughter, Grace. There has been an accident and her mother is dead. She, however, is convinced that it wasn’t an accident. But no one will believe her. How will she ever prove that there is more going on than meets the eye? You should read it if you, like me, are an Ally Carter fan (the Gallagher Girls and Heist Society series are fun). Otherwise, I might give it a pass. Ms Carter is a practical person – it helps her write no-nonsense characters who are good at getting things done. But All Fall Down should be about glamour. There are grand balls, tuxedoes, gowns, and secret tunnels. There is diplomacy and doublespeak and old European cities. Grace should remind me a bit of James Bond; but she is damaged in a way that isn’t, to my mind, alluring. (Her mother is dead. It would be weird if she were normal.) There is a way to make a character damaged and still fascinating – La Femme Nikita comes to mind. Grace should be competent but off her game. Instead she just came across as blundering. I didn’t get the underlying competence. I will read the sequel – I am sure Grace has underlying competence. This is an Ally Carter series. I look forward to Grace finding it.